Professioneel Cassettedeck wat jaren lang gebruikt is voor het opnemen van interviews bij de lokale omroep. Heeft me nog nooit in de steek gelaten en is in die tijd echt flink veel gebruikt. Nu doe ik er niks meer mee en niet gebruiken is zonde. Mag dus naar een liefhebber / verzamelaar of gebruiker. Ik vond het zelf het geluid van deze tape machine lekkerder klinken dan van een DAT of MD recorder. De limiter en microfoon ingangen zijn van hele goede kwaliteit en het loopwerk heeft een constant toerental. 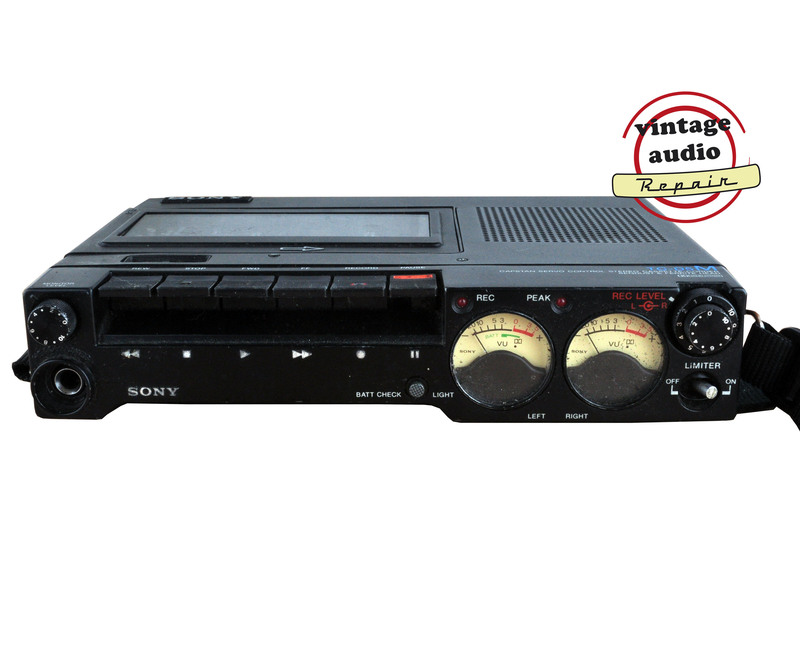 The TC-D5 was the machine that while clearly not being a personal stereo cassette player in the accepted sense of the term contributed immensely to the development of the Walkman idea and the Walkman range. 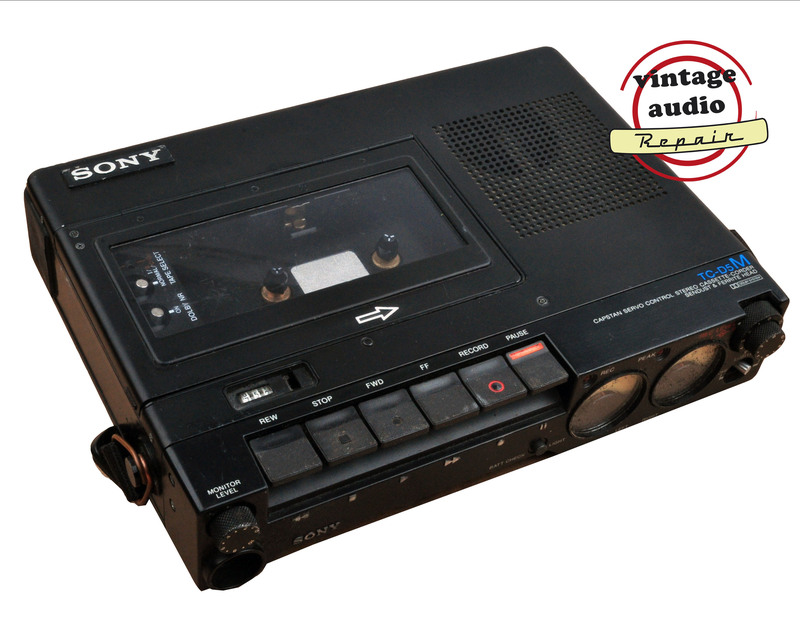 Launched in 1978, it immediately became a favourite of senior people in the Sony company as a source of high quality portable music, despite the lack of suitable lightweight headphones, its large size and its high price. This provided the idea for a cheaper, smaller version that could be sold cheaply enough to become widely popular. 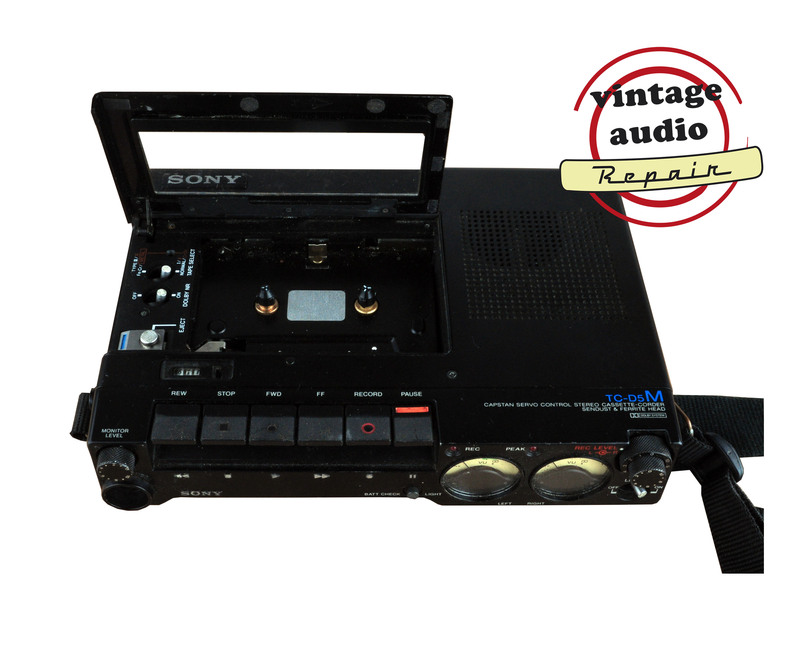 The TC-D5 was not the first Sony portable stereo cassette recorder, there had been many models aimed at both the amateur and the professional user, though they had all been fairly large and heavy, similar in both size and scale to the domestic cassette decks of the period. They were typically based around the mechanicals of the larger machines and had included mains power units and full-sized loudspeakers, all factors not conducive to small size and low weight. The TC-D5 was different to these models and the design was clearly focused on portability. 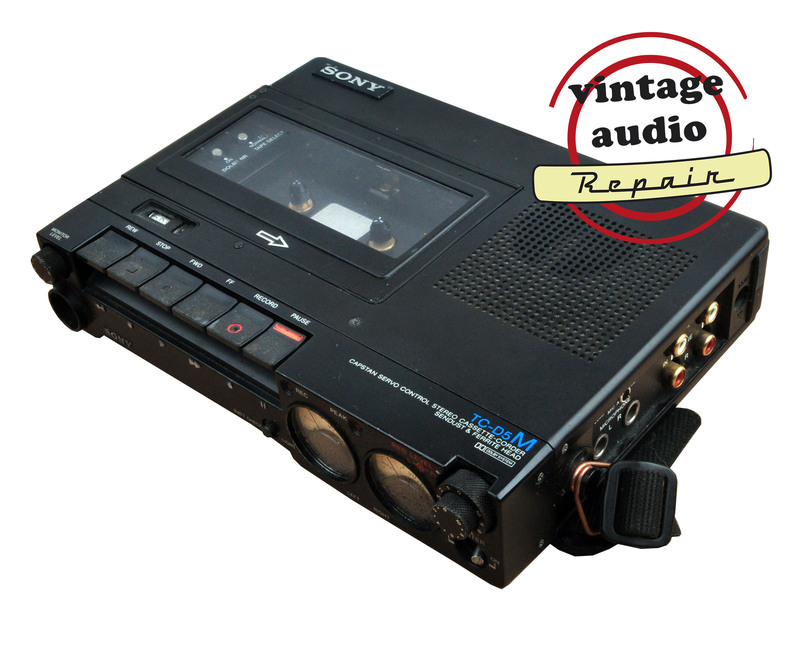 It operated on batteries only, had only a small monitor loudspeaker and most importantly, used a mechanism specially developed for small machines. However, the TC-D5 was first and foremost a high quality product, and none of these factors were allowed to detract from this. The signal processing circuits required a higher voltage than the two D sized batteries allowed, so a DC-DC converter was employed to step up the 3V to 12V, enough to power high-grade amplifiers and the excellent limiter and Dolby B processor that the machine included. 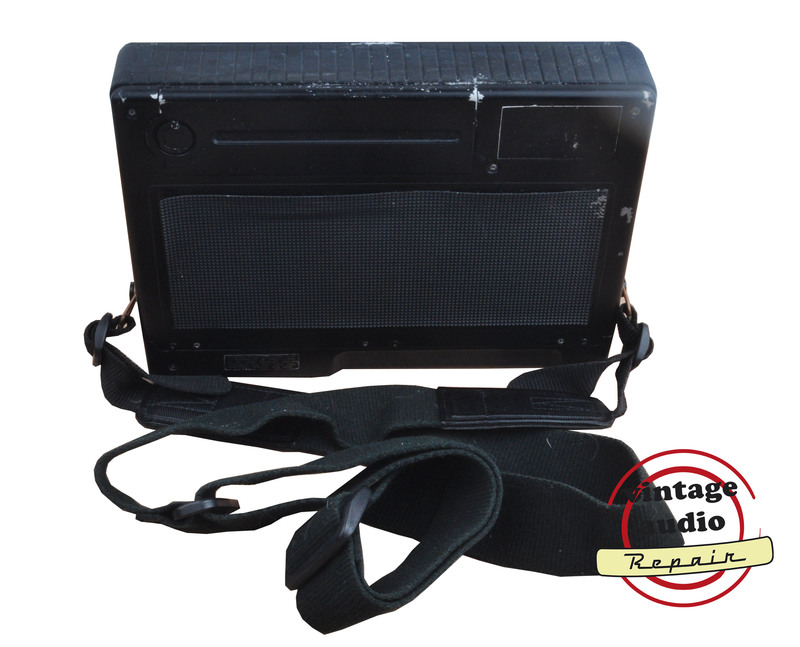 Of particular note, and most important, were the microphone amplifiers, which offered low noise and a wide dynamic range, making the TC-D5 the perfect choice for outdoor recording, news gathering and other such tasks. Also of interest was the head which was made of ferrite. This material not only has excellent electrical properties, it is also very hard and resistant to wear, reducing the need for frequent readjustment. The best electronics in the world would have been wasted if the mechanical sections of the machine had not been of equal quality. A big problem with any portable machine is that of wow and flutter, random tape speed changes that slur the sound and lend it a diffuse, wavering quality. Large, stationary recorders can be fitted with large flywheels and powerful motors to minimise these effects, but in portables this is not only impractical due to the size and power constraints, it also is counter productive as large rotating masses become unstable when the machine is moved or carried. To avoid these problems, the TC-D5 used the disc drive principle. The capstan flywheel was small and driven at its edge by a motor whose axis was at 90 degrees to that of the capstan spindle. The capstan was fitted a bevelled rubber tyre and the motor had a cone-shaped extension to its shaft to match. The two were held in contact by light spring pressure, which also held the capstan securely in its lower bearing. A pickup coil inside the flywheel bearing measured the speed that the capstan rotated at and this information was used to regulate the speed of the motor. The electronics could respond quickly, and this, combined with the low and well-damped rotating mass, effectively made the tape speed absolutely stable and unaffected by movement, tape friction, temperature and battery voltage.